For sale are packs of 5 Behringer MF100T Motorised Faders for mixers. You are buying a single pack, and there are 2 available of this writing. These are brand new in box. They feature precision 10K ohm linear tracks and use high quality Mabuchi motors for long life reliability. Branded as being suitable for the Behringer X-Touch range of mixers, they could be suitable for other mixers or projects too. You'll have to check compatability yourself. Cheapest around, but if you find then cheaper elsewhere then make me and offer for consideration. Thanks for looking. 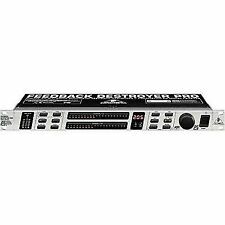 Behringer Dbx3000 BNIB. Condition is New. Dispatched with eBay delivery – Shutl 1 day. Will work with And many more. 2 x ( a pair) of fader knobs to suit the Behringer DX1000 mixer channel faders. Behringer DX1000 Channel Fader Knobs. Behringer Pro Mixer DX1000. 2 x Genuine Behringer DX1000 fader knobs. The Mabuchi drive motor used in the MF60T is recognized by professional engineers the world over as being ultra-responsive, quiet and long-lived. Motorized 60 mm Fader for MOTOR keyboards series. Computer Bits. 2 x ( a pair) of fader knobs to suit the Behringer DX1000 mixer monitor or main output faders. Behringer DX1000 Monitor and Main Output Fader Knobs. Behringer Pro Mixer DX1000. 2 x Genuine Behringer DX1000 fader knobs. 75mm Behringer Mixer Fader B10K. Behringer 10k Dual audio Mixer Fader 75mm travel 60mm spare part B10K, linear. Length: 75mm. Handle Height: 15mm. Product Introduction. (0.2 sec) due to proprietary FFT signal analysis. Plug Type: -. Balanced inputs and servo-balanced outputs with gold-plated XLR and 1/4" TRS connectors. Images shown are for demonstration purposes. The one in the pictures. 1 Cover for Behringer switch button. Conceived and designed by BEHRINGER Germany. 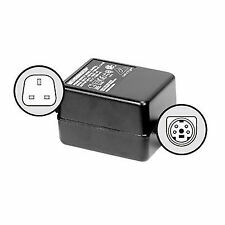 This adapter provides a generous 100mA current to power even digital products. For connection, it features a typical DC-type 2.2mm plug with negative tip and positive sleeve. Behringer Pro Mixer DX1000. 2 x Genuine Behringer DX1000 push on button knobs. The DEQ2496 is a high-precision digital 24-bit/ 96 kHz EQ/RTA mastering processor, ideal for sophisticated live sound trouble-shooting or audiophile mastering. Ultra-high resolution 24-bit/96 kHz mastering processor featuring 32/40-bit floating-point DSP technology. 2 x ( a pair) of PFL push on button knobs to suit the Behringer DX1000 mixer channel PFL switches. Behringer DX1000 PFL Button Knobs. 2 x Genuine Behringer DX1000 PFL push on button knobs. Behringer Pro Mixer DX1000. Behringer DX1000 Remote Start Button Knobs. Behringer Pro Mixer DX1000. 2 x ( a pair) of remote start push on button knobs to suit the Behringer DX1000 mixer channel fader remote start switches. 2 x Genuine Behringer DX1000 remote start push on button knobs. Behringer manuals for PMP1000, 3000 Mixer. Manuals hardly used and in excellent condition! B215XL, 44T30H8, 44T3018, 44T30D8, H71-60400-02660.